Cover more ground with this combo Paris private walking tour and panoramic driving tour of Paris conducted by our Paris private tour guides and driver guides. Our Paris Driving Tours Include: Our Paris driving tours include services of our Paris private guides, private transportation to and from your hotel, taxes, tolls and parking. 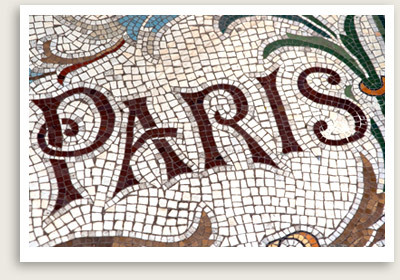 A Driving Tour of Paris – Tours By Expert Paris Driver Guides. Enjoy a private driving tour of Paris with your private guide to some of the most spectacular monuments and historical sights in a private car or van. Your private tour of Paris include a stop with free time for self-exploration in Montmartre. A gourmet lunch in a classic neighborhood can be arranged for an authentic French experience. This Paris private tour gives a brief introduction the architecture of the city, followed by a private, guided tour covering the most spectacular monuments and historical sights of Paris, including tours of Sainte Chapelle and Notre Dame. This tour will whisk you across the city, covering in eight hours what would take you eight days to cover on your own: from the fashionable cafes and shops of the St. Germain district, to the gardens of the Palais Royal, to the spectacular mansions of the Marais district. Paris Driving Tour Highlights Include: the Opera Garnier, Vendôme Square, Comédie Française, Louvre, Arc du Carrousel, Ile de la Cité, Conciergerie, Place Dauphine, the St. Gervais Church, Hôtel Beauvais, Place des Vosges, Ile St. Louis, Left Bank of the Seine with the Church St. Séverin, Sorbonne, Panthéon, Luxembourg Garden with Bartholdi’s Statue of Liberty, and St. Sulpice Church and its astrological Gnomon. After lunch at the place and time of your choosing, your driving tour of Paris continues to the Orsay Museum, the Concorde Square, the Madeleine Church, the Champs Elysées, the Grand and Petit Palais, the Invalides with Napoleon’s Tomb, the Ecole Militaire, the Eiffel Tower (photo stop), the Arc de Triomphe and finishes with a private walking tour through the exceptional artistic village of Montmartre and its famous Sacré Coeur Church.